It is truly nostalgic to stumble upon this blog from five years ago. Life has come a long way since then. But this Masters program was the re-starting point in so many ways. Here’s to education….and to me and my fellow nerds. Last summer, multi-tasking breathlessly between free-lance writing, part-time teaching and being on my daughter’s case, I met a friend who, when I asked her the ritual “what’s up”, told me smugly that she was preparing for her Masters exams from Karachi University. My interest peaked instantly, as I badgered her with her questions: Why, how, what, when, and where. She is the same age as me, same profile, married, teenage kids, happily into the home-maker zone, with a stint or two on the side to ward away boredom for the thrill of it. “Studying? Now?” I confess, was my response too. Books? Notes? Being thick-skinned and wanting to give exams that require coffee to keep you awake at night and have ink-stained fingers during the day? Between playing mommie, wifey, taking care of elderly parents, the socializing, the cooking, the groceries, the rounds to the tailor, maintaining a home … the best I can do is catch a show on TV, read or write for mental stimulus, and use Facebook to catch up with friends. Studying seemed a far cry. But something on her face told me she was enjoying every minute, even though she complained of exhaustion. She had the glow of forbidden excitement all over her face – an excitement that we often write off way too early in our lives. The feverish thrill of challenging yourself, of having a new dream and the anticipation of accomplishing something you as well as others think you can’t do! On way home, I kept thinking about it. My inner soliloquies were never-ending. Somewhere after my graduation as a position-holding student with Business Studies and Economics as majors, I had figured out that Business Studies had never been my calling. I was “prone” to literature; it made me happy, while writing provided me with Catharsis and purging of emotions. But back then, we did not have career-counselors, a choice to mix up subjects of Sciences and Social Sciences, and movies like “3 Idiots” telling us that the world is your oyster. But today, I had a choice to make a more informed decision. And so Masters in English Literature was my new goal in life. Little did I know that this would be a great learning experience, teaching me more than what the Greats have written. My husband was all for it, saying he believes that the role of a parent, a spouse or a friend is to let each other grow, and support them to fulfill their dreams. The general reaction I got was “Why?”, and “What are you going to do after that?” But then those friends who believed in following dreams encouraged me in ways that I had never imagined – dropping by cooked food, picking up my daughter, leaving a pack of groceries and offering to lend me their driver so I wouldn’t have to drive to the University. In many of my girlfriends, I saw a feeling of living their dream through me. Standing in queues for the admission process wasn’t easy. I had forgotten how to rough it out in a government institution. No concessions were made for me by the multitudes of students, even though I was older than most of them by a decade. The ride in the rickshaw the day of my first exam when my car broke down wasn’t a joyride. Neither were the long walks to the centre when I missed the university shuttle. The lecherous innuendos of a particular bored male invigilator were disturbing, specially the fact that whenever any student asked him for a B copy, he would say, “fikar mut karo gurya, mein hoon na!” Yet most of the invigilators were cooperative and respectful. From the day I filled out the form, a plethora of happenings has impacted the way I think. I have seen the brightest students coming from the humblest backgrounds. I have sensed how invigorating being competitive is, something that a comfortable and complacent life takes away. I have felt charged by the viable energy that seems to flood an educational institute. I have pushed myself to the limit of physical and mental endurance by studying till late night and waking up at five in the morning and writing till my fingers ached, in a bout of flu. Above all, I am a richer person in terms of knowledge, as a profound study of literature teaches you much about yourself and humanity in general. I fell in love everyday with a new writer. One day it was Keats with his Odes, the other day it was Marlowe dancing his way into my heart with “Dr Faustus”, and yet another day Hawthorne’s “The Scarlet Letter” would make me understand life much better. It is fascinating to learn that a growing trend world-over is people going back to school at any stage. Mental idleness leads to aimlessness and eventually despondency. To be a contented and creatively-active person, one has to keep doing something that keeps your zest for life alive and inspires you. For me it was a study program. For another, it might be learning a new language, baking or venturing into something entrepreneurial. Who knows whether I clear all the papers this year or not, but I hope to persevere till I do. After that? Well, maybe learning product photography professionally. Whatever makes me feel alive. Farahnaz Zahidi Moazzam is a freelance writer.The views expressed by this blogger and in the following reader comments do not necessarily reflect the views and policies of the Dawn Media Group. Posted in Straight From The Heart, Women and tagged education, Farahnaz Zahidi, Farahnaz Zahidi Moazzam, Pakistan. Bookmark the permalink. Rights activists note movement in legislation for gender equality, but say it is time to walk the talk. KARACHI: Encouraging movement has been seen in women-friendly legislation across the country in 2014. Provincial legislators in Balochistan passed the Domestic Violence (Prevention and Protection) Bill, 2014, while their counterparts in Sindh adopted the Sindh Child Marriage Restraint Act 2013, which outlawed marriage below the age of 18. Just two days before the International Women’s Day, amendments were made to the Punjab Muslim Family Laws Act 2015. The penalty for underage marriage has been increased, with offenders facing a prison term of up to six months and a Rs50,000 fine. The failure to pay alimony to a woman or a child will lead to enhancement of payment. Why, then, are the women of Pakistan continuing to suffer? “There is too much emphasis on enactment of legislation but not enough stress on implementation of the laws,” said Fauzia Waqar, chairperson of Punjab’s Commission on Women. Mahnaz Rehman, resident director of Aurat Foundation Karachi, agreed that implementation of laws is not satisfactory. “I suggest that the government and/or judiciary should make it mandatory that after the enactment of any law, rules of business and other necessary measures will be taken within three months. If concerned departments don’t do it, they should be summoned in the court,” she said. Rehman pointed out that though the Sindh Assembly enacted a law against domestic violence in 2013 it has not drawn up the rules of business or constituted protection committees yet. Lawyer and human rights crusader Maliha Zia Lari believes that enforcement is sometimes held back by budget problems. Women’s issues – a federal issue? “Women are 50 per cent of the population. How can issues related to them be just provincial?” asks Lari. In her opinion, the 18th Amendment may have had a positive impact in other areas of development, but not when it comes to issues related to women. “We are happy about legislation regarding Child Marriage, but that is in Sindh and Punjab. Khyber-Pakhtunkhwa and Balochistan will not even look at it,” she said. Lari also pointed out that it was unfortunate that the country no longer has a separate ministry for either women’s affairs or human rights. The Punjab government, according to Waqar, has set up a helpline for women exclusively. “Call 080093372 and you get help of every kind if you are a woman in distress.” She expressed satisfaction over the improvement in data collection. Activist and researcher Nazish Brohi said that this is “a time of huge possibilities, we have more space”. She said that it was encouraging that more Swara cases were being reported and more people were being arrested for crimes against women, showing a slow but stable improvement. As the dynamics of Pakistani society change, the lines between urban and rural culture continue to blur. “The massive scale of urbanisation has altered the demographic culture,” said Brohi. The situation is not bleak in Waqar’s opinion. However, proliferation of small arms in Pakistani society has affected the dynamics of violence against women (VAW) too. “In Punjab, from 161 cases in 2012 to 205 cases in 2014, there is a definite increase in the use of small arms,” she said. “Religious extremism has increased the incidences of violence against women,” said Rehman. She added that justice and peace are prerequisites of women empowerment. For this, we have to “deweaponise society,” suggested Rehman. Published in The Express Tribune, March 8th, 2015. Posted in Women and tagged Aurat Foundation, Farahnaz Zahidi, Farahnaz Zahidi Moazzam, gender, International Women's Day, Maliha Zia Lari, Pakistan, The express tribune, Women. Bookmark the permalink. ISLAMABAD: Farahnaz Zahidi Moazzam, senior sub-editor at The Express Tribune, has been selected by Women Deliver, a global organization that works for girls and women’s rights and wellbeing, as one of the 15 most powerful female journalists around the world for her stories on women’s health and rights. In an interview with JournalismPakistan.com, she said her selection means that there is more to Pakistan than terrorism, violence against women, poverty and corruption. “It means Pakistani women have a voice. They speak. They are heard. My pride is being a Pakistani and part of this awesome nation,” she said. Farahnaz said her inspiration is the strength of the human spirit, especially Pakistanis and women in particular. “I have connected with women across the world in the course of my work: from villages in Africa to areas of Khyber-Pakhtunkhwa and Tharparkar and have realized that women are more similar than we know. They are the backbone of communities,” she said. She said that tragic stories about the girls and women usually get headlines in both the print and electronic media but her focus always remains on the positive stories. “In the red light area of Lahore, the story that touches me most is the mother who has succeeded in getting her daughter admitted in a medical college. 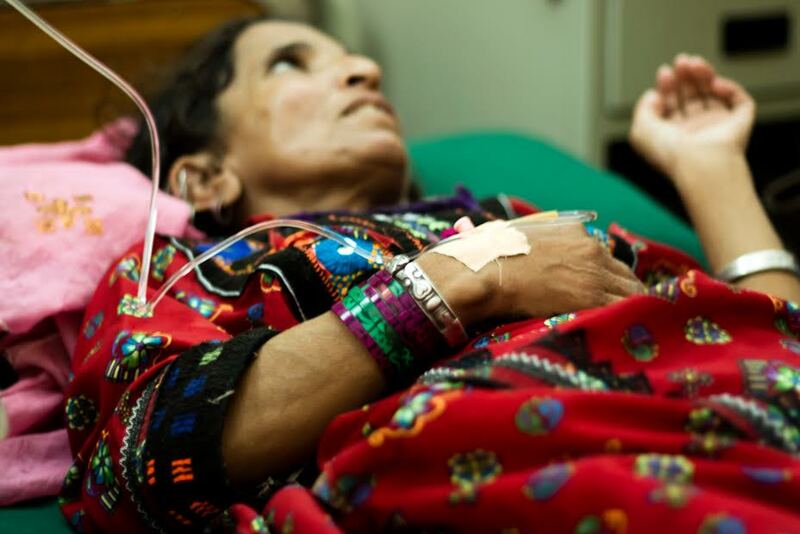 The women suffering from obstetric fistula for decades get treated at Lady Reading Hospital Peshawar and Koohee Goth Karachi – that’s my stories,” she said. “The poor Hindu woman gang raped in Tharparkar, after the story I wrote, gets justice because the Chief Justice takes suo moto – that’s my motivation,” she said. Farahnaz is a writer, editor, photojournalist and blogger. She is also a peace and gender activist and teaches students of media sciences as visiting faculty. With a Masters in English Literature and a keen love of languages, she teaches classical Arabic and takes interactive classes in theology, comparative religion and Islam. She said the award would not help improve her work but would definitely help place Pakistan in a positive light globally. “Pakistani women are strong and empowered. Their stories will be more widely read. That’s enough award,” she said. Advising aspiring female journalists, she said they should not write for a local or foreign audience or for any other motive rather they should focus on writing on the issues they believe in without compromising on the ethics. “Journalism is a wonderful profession that allows us to contribute to our communities and the world. One should use that opportunity responsibly. Whatever is written with honesty and passion has a way of reaching the hearts of your audience and readers,” she said. Farahnaz is a lively and jolly person as her joys in life are chaai (tea), travel, books and motherhood. The Women Deliver will now select top three journalists from the list of 15 through an online voting contest. To vote for Farahnaz, one can visit http://www.womendeliver.org/vote-for-your-favorite-journalists-delivering-for-girls-and-women. The voting closes on March 20. 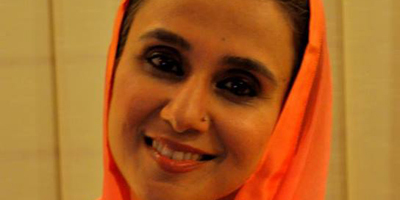 Posted in Uncategorized and tagged Farahnaz Zahidi, Farahnaz Zahidi Moazzam, journalism, Pakistan, Women Deliver 2015. International Women's Day 2015, women journalists. Bookmark the permalink.